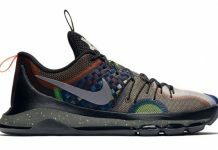 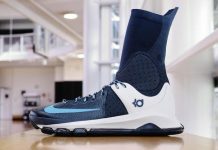 Nike KD 8 "Independence Day"
The Nike KD 8 will soon be unveiled and the latest colorway to make headlines is the “Independence Day” set to release in July. 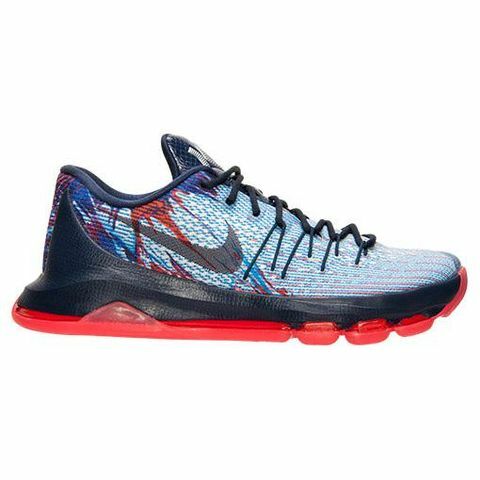 Here’s a 2nd look at the Nike KD 8 since the “Crimson” colorway and this time, it’s seen in a patriotic theme for July 4th. 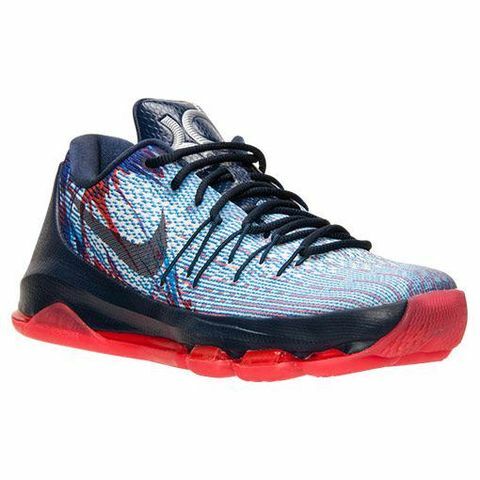 The KD 8 features fire work graphics on the uppers in Red, White and Blue, finished with a red outsole. 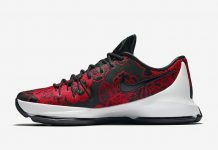 The Release Date for these is set for June 27th, 2015 at Nike Retailers.